Now that he's got Washington out of his system, Al Gore is reportedly setting his sights on Hollywood. Since deciding against another run for the White House, Time.com reports the former vice president has been focusing on another ambitious dream – developing a liberal media venture that could challenge conservative voices on cable television and talk radio. Gore has reportedly been meeting quietly with potential financial backers for a cable television network that would feature "progressive" commentators. One of Gore's compadres in the endeavor is Joel Hyatt, the founder of Hyatt Legal Services and son-in-law of former Ohio Democratic Sen. Howard Metzenbaum. One entertainment industry exec who met with Gore and Hyatt said part of what they envisioned was youth-oriented programming "putting cameras in the hands of kids." Gore has also been spending time with Chicago venture capitalists Anita and Sheldon Drobny, who have vowed to spend $10 million to start a liberal talk radio network to counter conservatives like Rush Limbaugh. Time.com says Gore introduced the Drobnys to actor-director Rob Reiner and other liberal Hollywood heavyweights. While attending the Sundance Film Festival in Park City, Utah earlier this year, Gore also met with a group, Environmental Media Association, which tries to put environmental themes in movies. 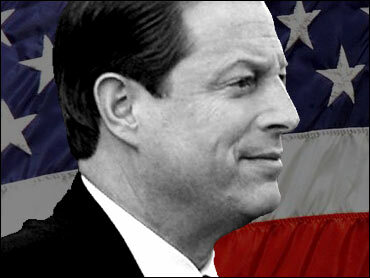 Gore has been intrigued by the relationship between politics and media for many years. His 99-page senior thesis at Harvard was titled, "The Impact of Television on the presidency, 1947-1969."